Last summer I made my maiden voyage to the Lake District, a prime holiday destination for most northerners, but one that was entirely overlooked by my family (we were all about Scarborough and Flamingo Land, of course). Dr HH and I drove up to Grasmere, where it was impossible to find parking in the town centre (bloody tourists!). We had to park a bit out of town, but this allowed us to find a quiet spot by some water to have our picnic of leftovers. It also afforded us one of the greatest sights of the holiday: on the walk into town, we passed a foreign tourist carrying her backpack on her front, as tourists often do in city centres for safety. On the quiet streets of Grasmere, it’s not really necessary to take such precautions. She must have heard terrible things about the crime rate in England! Why did we start our adventure in Grasmere? For the gingerbread, of course! The gingerbread from Sarah Nelson’s Gingerbread Shop is all vegan, and the staff are happy to confirm this. When we were walking there, Dr HH had the cheek to complain that sometimes I take him on very long quests for vegan food. Well, one bite of gingerbread soon shut him up! It was £5.50 for twelve pieces, and it took all my willpower not to eat the whole lot in one go. They were nicely-spiced, sugary and delicious! They also kept pretty well, by which I mean we bought them on Monday afternoon and ate the last pieces on Wednesday night and they were still perfect. We had to wait a few more days before presenting another bag of twelve to Dr HH’s parents. I had once attempted to give them some homemade vegan brownies which they declined to eat because they had been cooked in an oven where meat had been cooked too. So, this gingerbread was the first culinary gift that they actually accepted from me, and they were impressed with it. Hurrah! 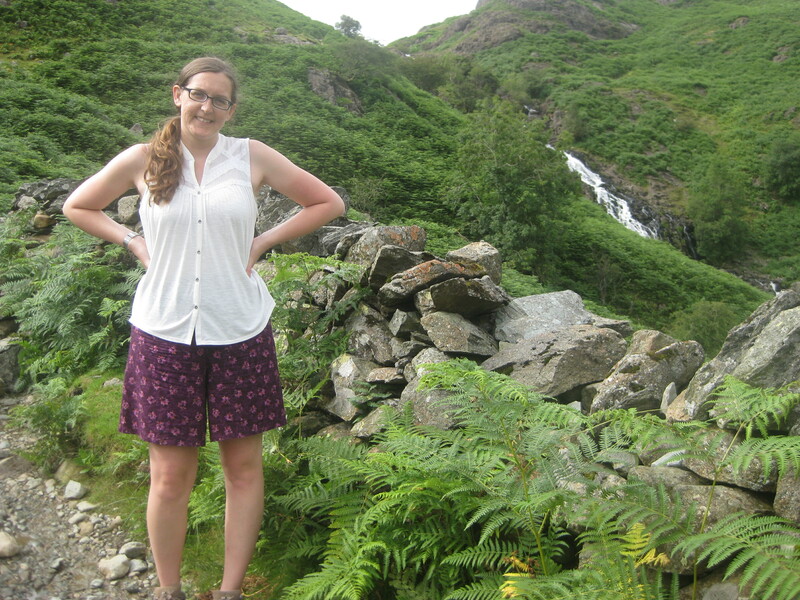 Unsurprisingly, the main thing to do in the Lake District is walk. From Grasmere you can walk up to Easedale Tarn, which you can see is rather beautiful. We were ill-prepared and didn’t have much water with us, so we didn’t make it to the top for fear of dehydration and collapse, but we had a good scramble up and would have loved to have been more prepared. Maybe next time we’ll do it properly – we’ll definitely be heading that way for more gingerbread! 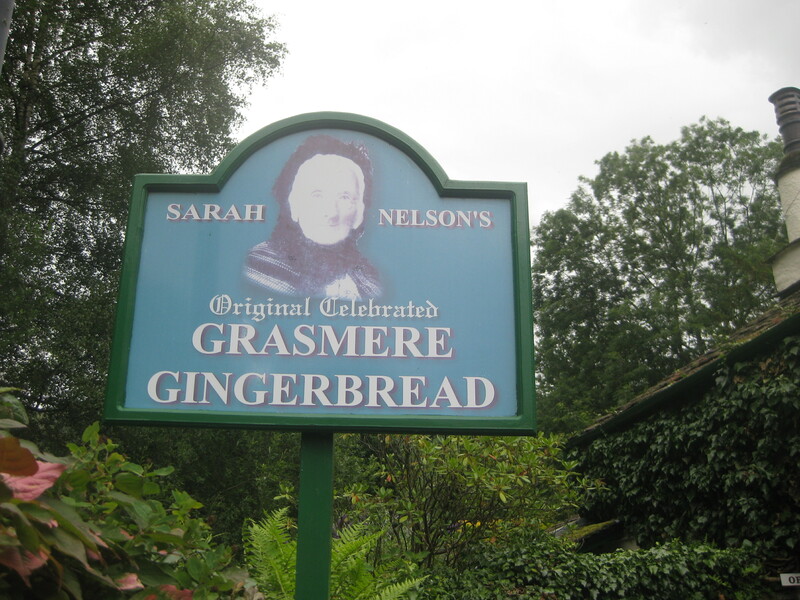 This entry was posted in Travel, Vegan Mofo and tagged Sarah Nelson's Gingerbread Shop vegan, vegan gingerbread, vegan gingerbread Grasmere, vegan Grasmere, vegan Lake District, vegan mofo, vegan travel, vgnmf16. Bookmark the permalink. Ooh this looks interesting! My husband has suggested a holiday to the Lake District for us next summer. It’s a bit of a way from us but sounds like a lovely place. I’ve only been this once, but I would definitely recommend it! We stayed at an all-vegan B&B, which was great. I think going a long way for some good gingerbread sounds quite reasonable – perhaps that backpacker had a lot of gingerbread in her backpack and wasn’t sharing it with anyone! Oooh, good thinking! That would definitely be a precious cargo! That sounds like a great trip! Guess if you had one of those ‘LifeStraw’ kind of things (i wonder if anyone ever does) you could have considered drinking from that beautiful looking stream – if it was reachable 😀 The gingerbread looks superlative! I’d never heard of a life straw, but I’ll have to look into one for my next outdoor adventure! We were scared to eat any more gingerbread in case it made us parched, so it was definitely a dire situation. What a gorgeous place to visit. The waterfall is astounding! Maybe they’ll learn to trust our vegan food instincts eventually! I love love gingerbread!!! The countryside of Grasmere looks fabulous– a perfect spot to enjoy phenomenal vegan dessert. The scenery and the delicious food really came together perfectly! It’s such a beautiful part of the country – not that far from Manchester, but really quiet and peaceful. Ah I am envious, I have heard such good things about this gingerbread, hopefully oneday we will venture there. It made me smile as this reminded me of my hubby and when we go out to places and i always have a veggie/vegan reason for going there ‘Dr HH had the cheek to complain that sometimes I take him on very long quests for vegan food’ – Really enjoying your post, I may not comment on all – but I am reading them – Barcelona is one place i really really want to visit. Thanks Shaheen! It seems that a lot of us have this problem when we’re dragging our loved ones around on the hunt for great food! 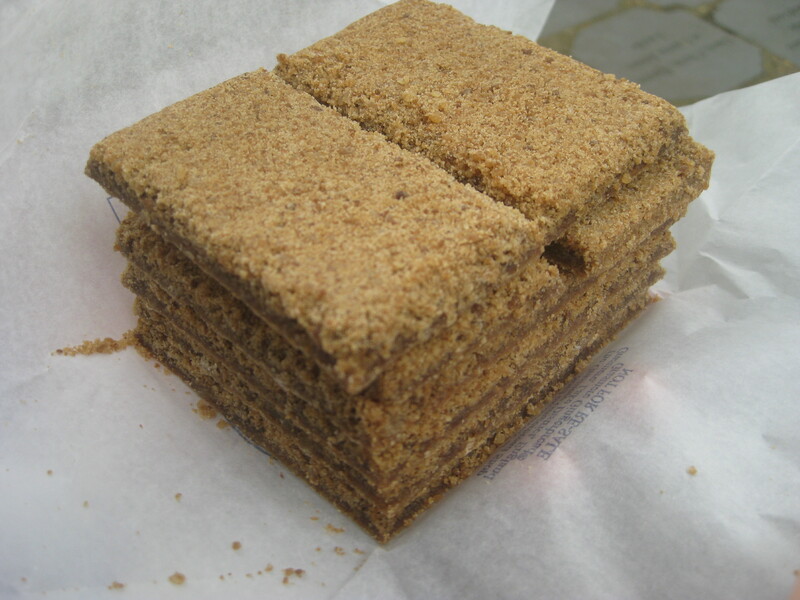 I hope you manage to try this gingerbread one day. It was perfect – although the gingerbread definitely has the upper hand!